Who Will Win? Will The History Repeats? 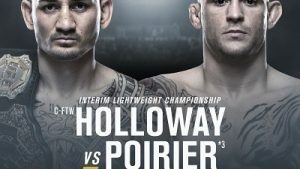 Atlantans, get ready to witness an earlier duo Max Holloway and Dustin Poirier in the upcoming UFC Fight 236. This fight will be for the lightweight interim title, the winner will fight with Khabib Nurmagomedov for the title. These fighters have already met in the past where Dustin was victorious, this bout might end differently, as both have improved greatly. Max has improved to a high level. Both fighters are strikers and more likely keep the fight running; Dustin does have the edge on the ground as we have witnessed his Brazilian Jui Jitzu skills in his previous fights. But Max has fought black belts in BJJ with his insane cardio and a mauling fighting style while maintaining his energy. Dustin is a tough fighter and if the fight continues till 3rd round, his winning chances would probably be better, but we can’t ignore Holloway’s cardio and how we have seen him winning. UFC is not just an MMA-packed championship, rather have turned into a dream, aspiration, who have raised millions of viewers and wannabes across the globe; to watch UFC online, a UFC Fight pass or PPV rights, either is enough. MMA hosted 469 fights so far, how many of them you’ve watched? We bet you’ve missed more than 50%, especially if you’re living in a region where UFC streaming is moderately or entirely unavailable. UFC has reached our comfort zones, but unfortunately, we are still deprived off all the exclusive content; many at times, we are just treated as zombies, who can see the trailers only. Let’s discuss the issue – Find the culprit behind! Why watching UFC Online is still Be An Issue? UFC is global, but streaming is not! Though the globalized world taught us that the world has no boundaries, we are constantly at war with geographical borders, that are becoming more important in the virtual world. Either you’re a pricey cable subscriber, or the one living in a UFC-blocked region; you’re under constant war in the form of geoblocks and limited accessibility. Till when we will fight? There’s always a way out if you want to escape! We are and will always be at your side in this cyber warfare, that’s why today, we are discussing how to enjoy UFC streaming online, without paying expensive cable subscription and without the fear of being left-out – that happens if you’re not in a UFC-friendly region. There are different options, suiting your variety of needs; but let’s start with something that make every option feasible and reachable. We are talking about VPN, the only tool we have that make everything possible when it comes to online security and privacy. Let’s quickly discuss a deadly combination – VPN and UFC; then we will look at all the options that we have, to stream UFC online. Watch UFC Fights With a VPN – Make UFC Streaming Possible! Buying a PPV of a fight cost between $29.99 to $34.99, depending upon the type of format you’re trying to watch; it’s way more than the Netflix of Fights – UFC Fight Pass. Whether you want to watch Muay Thai, MMA, Boxing, Submission Grappling, or Kickboxing, browse the catalog in just $9.99/month; there are two other packages with varying commitment, you will also get a 7-day trial. But the question is – can you access Fight Pass or even are capable of accessing fights vis PPV? The answer varies, depending on the degree of blackout restrictions placed in your region or for a particular fight. 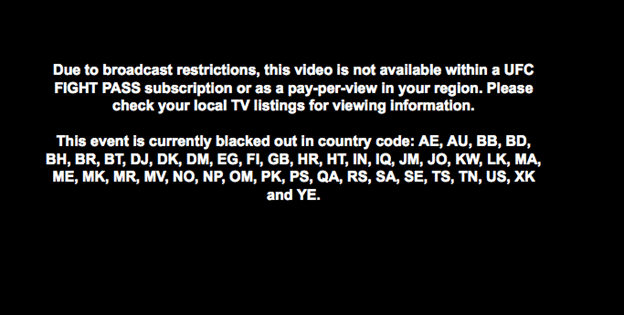 Broadcast rights are dispensed to local TV channels and streaming websites in countries other than the US; if you’re a fight pass subscriber but not in the allowed region, you’ll come across this screen. Means you’ve to find the local rights holder; signing up to a local provider often end up in lesser experience than UFC.tv, – poor user interface or worse quality. In France, there’s Kombat, and in Germany, there’s Ranfighting; have you ever heard them? Neither have we. This is not enough! Third-party broadcasters rarely entertain replays; a fight in the US may not start until 5 a.m. in Europe, but UFC.tv is not like that, you can watch at your leisure, which local right holders don’t offer. The best way to avoid such spoilers is to use a VPN – a Virtual Private Network hides your IP address and lets you travel the world anonymously. There are hundreds of VPN providers; it’s entirely up to you either you listen to an expert or spend hours in hours in searching the web, to find the best match. If you’re still want to scour through the web, it’s all up to you; or if you want to try our expertise, have a look at our selection. Note: Keep one thing in mind that VPN bypass geo-restrictions only, you still be needing channel subscription to access the contact from. If you’re a PPV netizen and looking for ways to save hefty subscription cost, here’s a way out. How to save Subscription Cost on PPV? Since the prices of the Fight Pass and PPV differs regionally, avail lower prices in countries with lower PPP like Singapore, Philippines, and some others. Don’t worry! We are not asking you to travel to the Philippines. Just connect to a VPN and connect to the server in the Philippines and get the cheapest Fight Pass. Note: To know cheaper packages, keep switching servers and compare them; choose the most-suited one to enjoy unrestricted streaming of UFC. Or, if you want to access via any channel, then click any of the suggested UFC-friendly VPNs from the table and access all the channels mentioned below. The UFC brings the world’s best mixed martial artists into a single octagon, but the broadcast is hardly global; the corporation has a handful of official broadcasters in most part of the world, check out the official channels! The list is enormous, but are all of them? No, not at all; only a handful of them offer the entire content including BTS, interviews of fighters, documentaries, official trailers, predictions, replays, and other relevant content. Want to stream UFC online on Fox Sports via a VPN? Here you go! In the US, Fox Sports is the official broadcasting rights to air UFC fights. Being a subscription-based TV channel, you’ve to download the Fox Sports Go app to stream the favorite fight/s, but a UFC Fight Pass is a must. Let’s VPNize the device to stream Fox Sports live from anywhere! 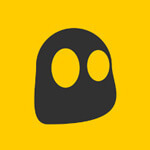 Download the best VPN from the above mentioned list. Configure it on your device/s. Great! You’re good to go. Now enjoy UFC events on Fox Sports Live. As we’ve promised that we will highlight all the possible options to watch UFC online, channels have already discussed while rest are mentioned below. So, find your perfect-match and get ready for all the upcoming fights and all those you’ve missed. UFC official website is where you’ll find all the fight content, prelims, BTS and everything that’s trending, but blacked outs. Anyways, you’ve two options to catch everything, anything. UFC Fight Pass will offer unlimited access to all the UFC content; you’ve three pricing plans. Fight Pass also gives you a 7-day free trial, supporting all the mainstream devices and platforms. On the other hand, Pay-Per-View is a subscription-based option to watch any fight of all the MMA fighters. $61.96/month for 6 months – 50% off. Nowadays, watching online is becoming more relatable and convenient; thanks to a significant number of streaming services for delivering the content wherever (living room, friend’s place, the office, or the bus), whatever (Movies, sports, Fights, etc.) and whenever we want across a range of compatible devices. Sling TV – $25 to $40/month. If you can’t access Sling TV, Hulu, or any other, you must be geo-restricted; use a VPN and unblock anything. All these streamers also allow you to choose an individual channel to personalize viewership so that you can select as per your requirement; isn’t great? Now, your most favorite part, how to watch UFC on Kodi? The answer lies underneath. 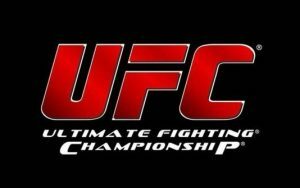 Kodi users who wish to watch UFC on Kodi online are in for a treat as we have mentioned some of the best addons for watching UFC fights on Kodi that are mostly the perfect getaway from the usual trial and error we face switching channels, because if you generally scour the Kodi repo to find addons that provide MMA streaming; you’ll end up with some real shady addons that would possibly contain broken streaming links. We know, Kodi is an all-rounder platform to stream anything anytime from anywhere, but what to do with geo-restrictions, it won’t leave you that easy! You still need a Kodi VPN to access all the restricted addons. Let’s shed light on this! Why You Need Kodi VPN To Watch UFC? UFC is one of the most popular sports with fans spreading across the globe; our excitement and craze expands when we come to know any latest fight. No matter what device you own, UFC is accessible via on Kodi. But wait! If you’ve forget, let me remind you – UFC is only for US fans – hopes dying? Hold on! We’ve a virtual travelling plan – VPN. The problem of being expensive will also be solved; grab a free addon and watch you favorite UFC Fight card/s. Sacred from freebies? Use paid addons for UFC. 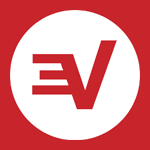 For your love of UFC, check out our dedicated list of best VPN to stream UFC on Kodi. Once you’re subscribed, now grab any of the given addons and stream UFC online like a pro. We know these names are not new to you, but the addon installation is; I mean we always forget the steps. So, let’s bang on it! Before that we’ve to know these addons more closely. Planet MMA – The Finest Choice! 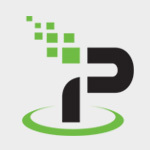 Planet MMA is the best addon with the biggest yet organized collection of old and new archived of UFC fight nights, including other media content. This addon is updated frequently and the developers keep a strict check to remove any non-working links. Talking about PPV, Planet MMA does not offer UFC PPV fights live. Moreover, you can stream the latest fight like UFC Fight Night: Lewis vs. dos Santos, after a little while, not immediately. Don’t worry! The world does not ends on Planet MMA, there are some addons which do broadcast UFC PPV fights on Kodi, you’ll find them below. As we have already mentioned, despite being unfriendly to live streams, Planet MMA is still the best with the best fight catalogs and collection. SportsDevil is the addon where you’ll find a ridiculous number of almost all sorts of sports streams including UFC/MMA; so, get ready to face the hassle to find the desirable UFC streams, workability of the streams is another debate. Want the ultimate ticket to most of your live sporting events and older ones? There’s no better addon then SportsAccess with 100 sports channels available, including more than 15 Live TV channels from where you can watch even UFC PPV live from anywhere in the world. But, SportsAccess is not for free; keep some cost in your wallet. Don’t worry! The cost is a meager sum if you compare with everything that you can watch with that addon. Installing SportsAccess addon would require official subscribcription. If you’re looking to watch a specific or a single day UFC Fight/s, then its 24-hour plan is an ideal option to go with. UFC Fight Pass Kodi addon also requires a valid subscription of UFC Fight Pass; means it’s the perfect option to watch UFC, including exclusive content, on Kodi. Bear in mind that you may encounter a Fight Pass Blackout error; I hope you don’t want to me to repeat the charizma of a VPN, to evade such issues. Find UFC Fight Pass Addon for Kodi in the respective repositories; it’s way safer and stable than other addons, as this Kodi addon don’t come and go. To download UFC Fight Pass addon on Kodi, check our updated list of Kodi repositories and go with the best available options. When it comes to UFC streaming on Kodi, Made In Canada is the most underrated one, because it doesn’t explicitly mention anywhere but once you explore it a little, you’d be surprised to find the quality UFC streams. Although, we’ve shared enough number of addons, if you want to grab an addon on your own, keep these handy tips with you. How to Find The Best Kodi Addon To Watch UFC Live? We’ve discussed it time and again that always check the reviews of any addon before installing them on your Kodi because there are many Kodi Repositories which are filled with crappy addons. Well, these are some of the identifiers of the low-quality addons that you should refrain from. We know there are many addons that enable you to watch UFC, but in our opinion, these are the best ones. If you’re using any other addon for UFC fights? Do share with us in the comment section and expand our horizon. Addon discussion is almost over, let’s jump on the installation guide. The addons mentioned above are official yet restricted to the US-only. While below we are mentioning some unofficial broadcasters of each and every UFC fight, these may vary in both event-to-event and region-to-region; all these channels require premium subscription. Sports has never been more accessible through BT Sport; it is a group of sports television channels which has exclusive streaming rights for UK live TV to premiere UFC fights and UEFA Champions League. BT Sport is available on the infamous Kodi which can be download in simple steps. From the Kodi home screen choose Addons. Go back to the home screen. Click Videos and choose Addons. Look for BT Sport and enjoy UFC on Kodi. DAZN is a hit Kodi addon to watch UFC, because it’s an affordable option and the best alternative to cable. Predicting the country you are in, user signups vary in each region. DAZN is a known sports addon providing streaming services for multiple sports bouts including, Major League Baseball, Premier League matches. UFC, NFL, NHL and much more. Having DAZN addon is a plus in Germany and Japan with a few more counties give or take. Follow the given step by step procedure and install DAZN on your Kodi device which is in the Nerds repository. A warning box will pops up, click ‘Yes’. Click on My Addons and select Videoplayer InputStream. Both InputStream Adaptive and RTMP Input should be enabled. Choose ‘Install from Repository’ and hit Kodi Addon Repository. From the Kodi main menu click on Videos and select Addons and choose DAZN. Viaplay is a fantastic premium Scandinavian streamer which offers on-demand content and live stream from movies, TV shows, documentaries to sports events. Viaplay is only available in Nordic countries – Denmark, Sweden, Norway, and Finland. Let’s install Viaplay to watch UFC. Hit Install and wait till you see the Viaplay Addon Enabled notification. All the video addons you install, including Viaplay, will appear here. Click on Viaplay and BAM. Further, if nothing works you can always download the official Viaplay addon, and click ‘Install from Zip File’ to continue. Match TV is a prime time Russian Addon that offers you the best Football replays, highlights and insights. UFC fights are a real blessing on Match TV as all the fight cards can be streamed on it regardless of where you are. Click on repository.colossus.999.999-x.zip and wait for enabling notification. Match TV is now installed. Go to Addons > video addons, to access it. Fox Sports is not a new name, it’s one of those addons which have created a name in the Kodi community with its astonishing content library, fulfilling hundreds of demands Worldwide. Hit Install and wait till you see the Fox Sports Go Addon Enabled notification. After opening Fox Sports Go addon, you will be given an activation code that needs to be entered at Foxsportsgo.com/activate. UFC Fight Night Till vs. Masvidal is round the week; traveling to London would be a silly idea if you can watch right from your TV lounge. It’s never too late, find the best streaming option, connect to a VPN, and start streaming all your favorite past and future fight cards. Our job is to guide you the right yet convenient virtual traveling route and the feasible medium, whether to travel or not, is entirely up to you; if there’s any other streaming option you’re aware of, feel free to share with us. Nate Diaz VS Conor McGregor Fight 2 is a no-brainer! Nate Diaz will win this fight for sure! Conor has admitted time and again that at UFC 196, he was not prepared, but this time he’s training harder than ever and will try every trick in the book to take down Nate Diaz.Nate Diaz VS Conor McGregor Fight 2 is going to be bloody, brutal, could be a bit disturbing to watch. I’ll be damned if Nate Diaz wins this time.